On Friday 19th October, Year 1 walked to Alexandra Park to meet the Ugly Duckling. We went on a bird hunt, then fed the birds and finished off with an autumn walk. Click the picture to the right to scroll through. Welcome back! Our theme this half term is ‘Values and Perceptions’ and our key question is ‘Can I understand that people have different values?’. Next half term we are learning about the Ugly Duckling as part of our Diversity theme. We would love to take the children to Alexandra Park to see the ducks in their natural environment. As the seasons are changing, we would also like to take this opportunity to explore the signs of autumn. For advice about reading with your child click here. question is ‘Can I recognise the beauty of different people and places?’. 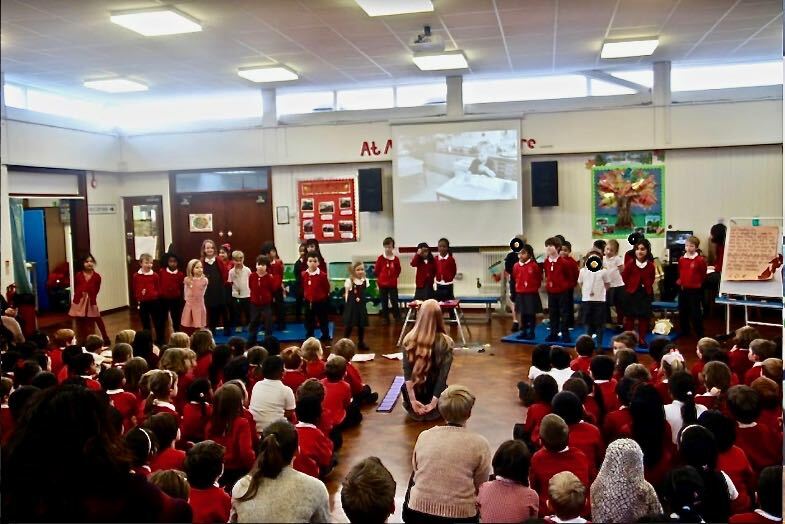 1CW Had their class assembly yesterday. The children shared the work that they had been doing this past half term. Including the work that they had been doing on the book 'Something Else', some masterful maths challenges and some of their amazing art work as well. Pictures can be seen below. Here In Year 1 we have found a tool that our parents can use to help their children with their phonics skills and development in reading and writing.